The bathroom is one of the most important rooms in the whole house since it is used each and every day by every individual in your home. It is also probably the first room we use each morning. Remodelling your bathroom can make it more accommodating and functional while also increasing the personal enjoyment of your home. There are numerous reasons why you may have to renovate your bathroom. It may be because you want to make some upgrades such as installing new faucets or fixtures or because you have decided to give it a new look altogether. Here are five reasons you may need to get your bathroom renovated. If your home had been built in the early 70’s or 80’s and hasn’t been remodelled since it is time to upgrade. A renovation can give the space a breath of fresh air. It is likely that your old bathroom may have broken fixtures and tiles which need to be repaired or leaks present in the plumbing. While anything with a water leakage needs to be repaired right away, the other repairs can wait. Water damage can lead to the growth of mould which can be harmful to your health and can result in damages needing very expensive repairs. Upgrading your bathroom will improve its functionality and optimize usable space for your growing family as well. If someone in your household has limited mobility or a disability, renovating your bathroom can make things easier and safer. Your bathroom can be made much more spacious and accommodate installation of safety assists like shower seats and handrails and can also help someone in a wheelchair. Plumbing issues are bound to happen in bathrooms. It can never be completely avoided. If your home is starting to have too many issues with the plumbing in your home, like dirty water or a leaking tap, you will most likely need to call a plumber. However, remodelling the bathroom is a better idea as once a problem has happened, it is bound to happen again. Instead of spending money constantly repairing faulty taps or pipes, a remodelling is more feasible as it is a one-time investment. You will not have to worry about the same issues cropping up every six months. If you plan on putting your home up for sale, a bathroom renovation might be helpful as an updated bathroom can help the home sell much faster. Bathrooms and kitchens are one of the first rooms that potential buyers check and on old and tired looking bathroom in need of an upgrade is the last thing they would want. 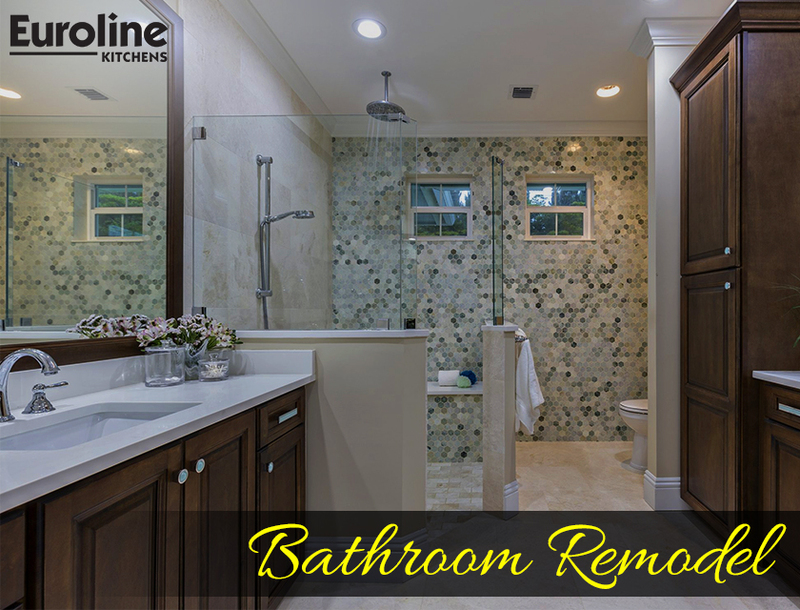 Additionally, a bathroom renovation can increase the value of your home, resulting in attracting more qualified buyers. Most homeowners plan to remodel their bathroom because they are bored with the current interiors and fixtures and want something new. It could also be that you have recently refurbished your entire home and the bathroom doesn’t fit well with the interiors anymore. Maybe you are looking to create a personal retreat through the renovation and making a more luxurious and relaxed space. Whatever may be the reason, a renovation can provide something that is completely new and fresh. The above-mentioned reasons are among some of the most common reasons to have your bathroom revamped. If want a new look for your bathroom, contact our professional bathroom renovators who can guide you with their expertise.